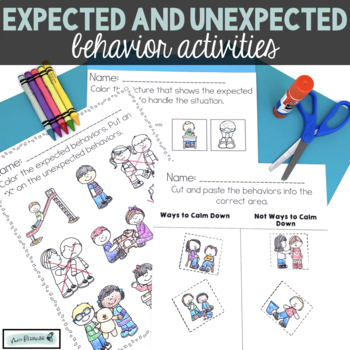 Pages 28-46: Expected/unexpected behavior visuals, thumbs up/down signs. 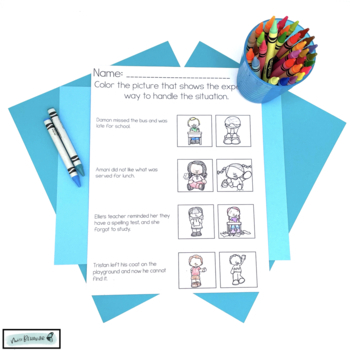 This activity is for teachers to show the behavior visual and have each child lift up the correct sign that matches the behavior. 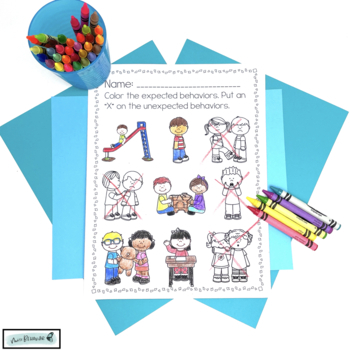 Check out this comprehensive blog post to see everything that's inside! 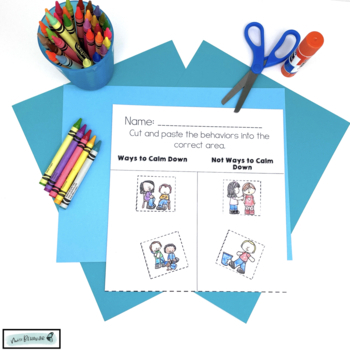 Follow my teaching journey for behavior tips and tricks on how to help you teach and reach ALL of your learners.